Sierra Garage Door specializes in repairs and service of residential garage doors. We can service most brands of sectional residential garage doors and electric garage door openers (including LiftMaster, Chamberlain, and Craftsman). Jeffrey Sylvester began his career in the garage door industry over 14 years ago. His experience includes sales of garage doors and garage door accessories, and service of garage doors and openers. Today at Sierra Garage Door (est. 1999), he specializes in the service of residential garage doors. 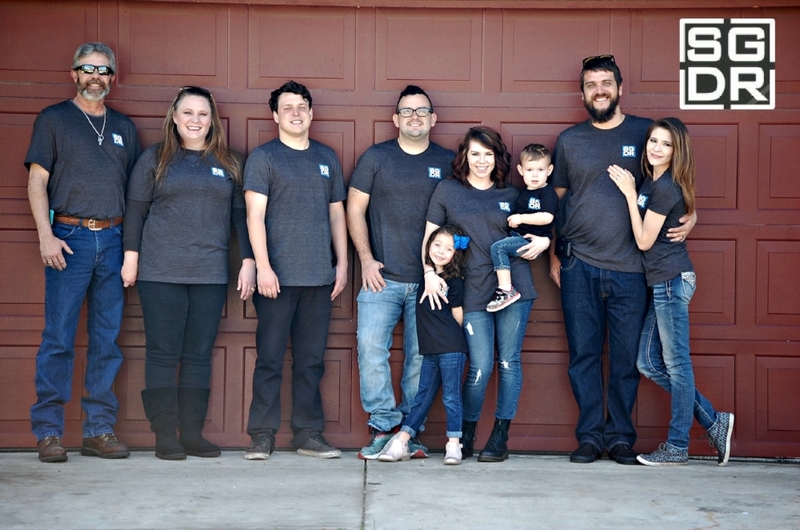 Unlike many other garage door companies, Jeffrey does not rely on employees or subcontractors to perform the work, instead preferring to perform all work himself, with the help of his son in law, ensuring it is done to the highest standard. We are family owned and operated and we would love to thank you for giving our family the opportunity of serving your family! Replace torsion springs, Replace rollers, Replace hinges, Replace bearing plates, Replace lift cables with heavy duty cables, Replace bottom weather strip, Replace/install reinforcement struts, Install adjustable reinforcement brackets, Install new garage door openers, Service garage door openers, Install digital keyless entry systems, Install various car controls - Liftmaster Chamberlain Sears Multicode Linear Genie, Replace Genie trolleys. Free Estimates on Installs for residential garage doors only, (Free estimates are for garage door installs only, free estimates will not be given for garage door openers or repairs). No painting included, No gates or gate openers, No entry doors, No commercial garage doors, Do not install 110VAC electrical outlets, Do not install commercial garage doors or do replacement panels for commercial doors. We have a proven track record of quick response to service calls. We know how important your time is, and we make sure we are prompt, and that we do the work quickly and efficiently. We stand by our work - you receive a 1 year parts and labor warranty on all services performed. In addition, we honor all manufacturer warranties on products we install. We are the only company in the area capable of replacing your torsion spring with the proper spring during the service call on the spot! We stock the most complete selection of replacement parts for LiftMaster, Chamberlain, and Craftsman garage door openers in the area right on our truck! Our goal is to not only provide you the best service possible, but to ensure that you are equipped with knowledge on how to properly maintain your garage door and opener, saving you money in the long term. *NOW ACCEPTING CREDIT CARDS THROUGH SQUARE!